Here’s a deal for all you tea lovers. 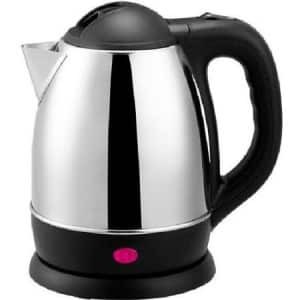 Click here to visit the Amazon site and you’ll be able to score a Brentwood 1.2 Liter Stainless Steel Tea Kettle for $20.65 (regularly $49.99 = 59% off). The same one sells for $28.49 on Overstock, so this is a sweet deal. It also ships free if you spend $25+ or have Amazon prime. *Keep in mind Amazon prices change frequently, especially for hot deals, so make sure it’s still $20.65 before you add it to your cart.